How would you rate your experience with Dole Food Company ? 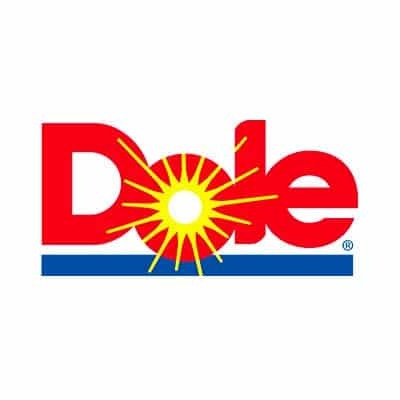 Dole Food Company traces its roots back to the 1851 founding of Castle & Cooke, a company that invested in shipping, railroad construction, sugar production, and seafood packing. Founded by Samuel Castle and Amos Cooke, originally from Boston, the company quickly became one of the largest companies in Hawaii, long before it became a state. 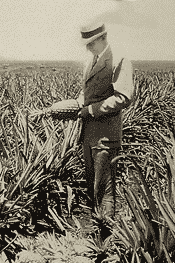 In 1899, James Dole, fresh out of Harvard’s School of Agriculture, purchased a pineapple plantation on the island of Ohau, establishing the Hawaiian Pineapple Company. In 1932 Castle & Cooke purchased a 21% interest in Dole’s Hawaiian Pineapple Company. In 1960 the company acquired the remainder of the Hawaiian Pineapple Company as well as the Standard Fruit Company. It renamed this combined company The Dole Food Company. In 1961 Dole became the third largest producer and U.S. importer of bananas. In 2004 Dole acquired Coastal Berry Company and in 2011, Sunnyridge Farms. Both of these companies now put Dole in the berry business. 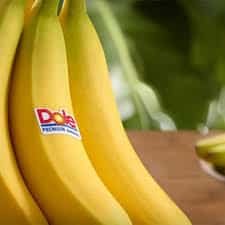 Dole remains one of the top 2 banana companies in the world. In 2011, Dole reported annual revenue of $7.2 billion. Today Dole Food Company is the world’s largest producer of fresh fruit and vegetables with 200 food products that are sourced, grown, processed, marketed, and distributed in more than 90 countries. In addition to Hawaii, the company also has plantations in South America, as well as 19 container ships which have specially fitted refrigerated units, as well as their own private cranes to load and unload shipments. The company has had several recalls in recent years, most of them for Listeria contamination. The most recent outbreak was a Listerious outbreak in 2016 in packaged salads. Dole Food Company has been privately held since 2011, is valued at $1.5 billion, is #331 in the Fortune 500 and has nearly 35,000 employees. Question 1: What is the phone number for Dole Food Company ? Answer 1: The phone number for Dole Food Company is (818) 879-6600. Question 2: Who is the CEO of Dole Food Company ? Answer 2: The CEO of Dole Food Company is Johan Linden. Question 3: Who founded Dole Food Company ? 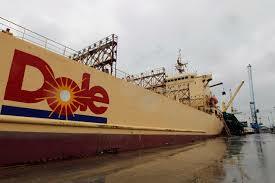 Answer 3: Dole Food Company was founded by Samuel Castle and Amos Cooke in 1851.
people friendly? Meantime, I will continue to enjoy. I purchased a bag of DOLE salad and found 2 pieces of METAL in the bag. I immediately called DOLE and was asked to send the pieces to them for evaluation. I have not heard ANYTHING back from them. When I called to inquire, I was told I would be receiving an empty envelope and I was to write on a blank piece of paper what I felt my compensation should be. WHAT???? The representative was serious. I was to pick my own compensation. The pieces were still being evaluated 1 1\2 months later and they were so totally unprofessional I was appalled. METAL in your salad!! WAITING FOR A RESPONSE AND COMMENT FROM DOLE FOODS REGARDING MY 2 email comments. 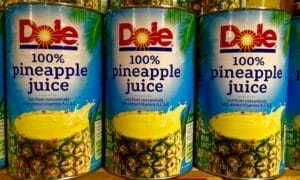 DOLE COMPANY SHOULD ELIMINATE BPA FROM THEIR CANNED PRODUCTS. 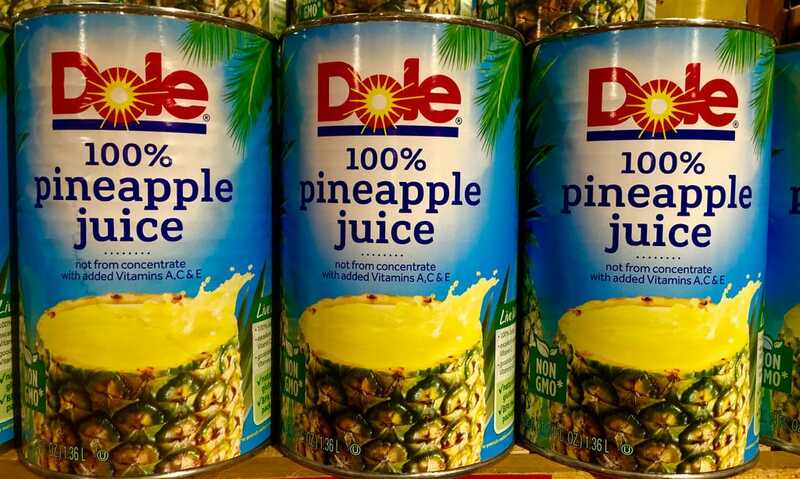 The dole product canned fruits are NOT. BPA free.. I will no longer buy these canned pineapple products. Many other companies have eliminated the BPA lining inside their products and indicate it on the outer label. DID DOLE COMPANY CONSIDER THIS FOR THE HEALTH OF THEIR CONSUMERS?? Having eaten Dole prunes regularly, I was horrified to bite into a sharp item within a prune. There were an additional 2 pieces of broken, outer shell of stone. Fortunately it was me finding them and not any of my grandchildren! I bought an Endless Summer bagged salad. While eating it something scratched the inside of my check & gum. I found a piece of hard plastic, shaped almost rectangular with a rounded middle. I do want to talk to someone. I attempted to contact your offices but was told to call a phone that did not have a voice mail, transferred to another number & then was told it was the wrong office. Next resort is the BBB. I worked for dole for almost four years as a machine operator,loved my job plans were to retire there,made a few mistakes that made me end up losing my job even though the mistake was taken care before I got off work,here’s the thing about this the right up came a week after the product was already gone.dole supervisor are people get away with worst than what lve done especially women if they things for them if you know what I mean.I worked at the Bessemer City N.C plant supervisor Scott Rice,Josh both get sexual favors from women at Dole in order for them to get moved up and to keep their job. Disgusted! Bought two cans of pineapple, when opened I had white pineapple… did you ever have white pineapple???? When back to the store where purchased and they told me I had to contact DOLE. HAHAHA have you ever tried that? I called and called no return call yet. Ironically the link to email does not work. Ridiculous that a company the size of this one operates towards their consumers in this manner in today’s day of technology and constant communication. I am an 83-yr old woman, who , since a child shopping with my mother, was taught to TRUST the DOLE brand for quality products. Well, for the first time, I feel I’ve been swindled. You obviously have some braniac on staff tht came up with a real pip of an idea, but that idea was executed VERY BADLY, indeed. My faith in the long time, highly respected name of DOLE has been sadly shaken! I refer to a product I discovered in the market freezer — DOLE SHAKERS! WHAT A DISAPPOINTMENT! I purchased one each of the four flavors, foolishly believing what I read on the labels of the canisters. WRONG! First of all, the Ingredients are printed in such small font that even my reading glasses, when I got home, could make out the contents! Then it says, “made with real fruit and yogurt. : HA, that’s a laugh!. Upon opening the canister to make my first of the 4, way at the bottom of the container was barely a tablespoon of some kind of clear syrup and shreds of ? fruit — no cubes of real fruit as pictured on the outside label! Third, as a diabetic, I chose them because of the low calories, when made up. I even cut the calories by using almond/coconut milk (60 cal) so I would be in my limit for my breakfast drink. That was the THINNEST smoothie I’ve ever had — though “sweet” and probably some SUGAR or facsimile thereof….! Pictured fruit and yogurt particles were HIGHLY magnified, by comparison to contents! SATISFACTION GUARANTEED – bulogna! I would have thought QUALITY OF ASSURANCE would mean more to you and your “product testers” before putting a product “out there” for public consumption….what happened with this one ????? I am sooooooo very disheartened and disgusted by “big corporation profit-seeking” taking over once trustworthy respect for their names. I’ll bet your founders would be turning over in their graves at this one! SHAME ON YOU for sacrificing the reputation of such a once fine, once practically “revered” company built by honest people years and years ago, when values instead of the bottom line were the main objective. Except for your fresh fruits, you’ve lost me as a faithful, long-time customer. . ( The 3 remaining canisters are being returned unfrozen, so the store manager can see what I’m taling about, along with a copy of this e-mailed letter to your offices. Want to make sure Dole Food Company sees your comment or complaint?